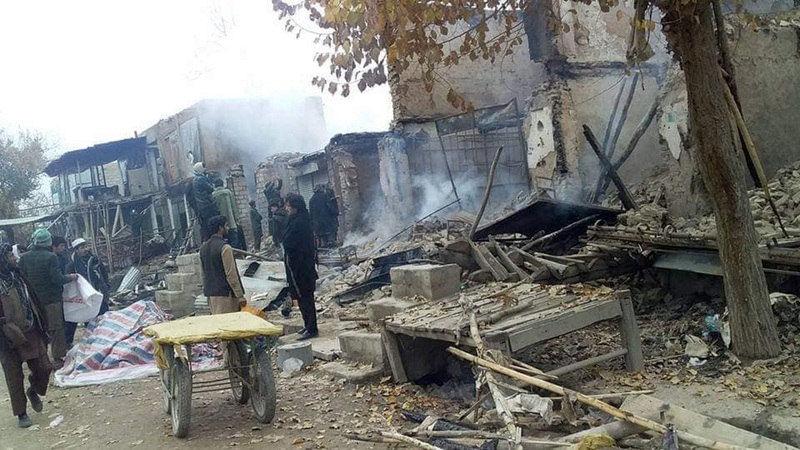 KUNDUZ -- Threatened by growing local resistance, the Taliban has been targeting the families of Afghan security forces and popular uprising movements in Gurziwan District, Faryab Province, including forcing them out of their homes. The Taliban has evicted nearly 200 families whose relatives serve in the ranks of the Afghan National Defence and Security Forces (ANDSF), Sibghatullah Silab, deputy head of the Faryab Provincial Council, told Salaam Times on January 5. "These families hail from various regions of Gurziwan District, all of whom have been thrown out of their homes [by the Taliban] in this excruciating cold winter," he said. "What crimes have these people committed for which they are being thrown out of their homes other than their familial ties?" "We sent our elders to the Taliban to have them reverse their decision and allow those poor people to return to their homes," he said. "The Taliban's response to their request was negative." "The children and elders will die in the cold if the families are not immediately returned to their houses," he said, describing the situation as "critical." "Taliban militants have forced out many families from their homes following the orders they received from Mawlawi Hamidullah Danish, the group's shadow district governor," Faizullah Rahmani, Gurziwan District Governor, told Salaam Times. He added that seventy families from Dara Zang, 60 families from Ghalbian, 50 families from Yukhan, 15 families from Pakhalsuz, 11 families from Dahmaran and several families from other villages have been threatened and forcefully evicted by the Taliban. The Taliban did not even allow women and children to take food or clothes with them, Rahmani explained. "The Taliban have told them that they are not to return to their homes until their family members who work with the security forces surrender." Many of the evicted families are staying with relatives while the authorities have allowed others to take shelter in government buildings, according to Rahmani. Meanwhile, the Taliban has exploited the situation by looting the homes of the displaced families, he said. The Taliban have even admitted to local journalists that they have evicted many families whose relatives work for security forces or who are a part of the popular uprisings in areas under their control. Abdul Musawar Haidari, 48, a resident of Ghalbian village, said his son has been working in the ranks of the security forces for the past three years. For that reason, the Taliban has evicted him and his family of six out of their house. "What crime was my son guilty of committing as a result of which the Taliban had to force us out from our own house?" he said. "My son works for the safety and security of our people and in return, he receives a salary," he told Salaam Times. "So, what is he guilty of?" "My wife, my children and I are living with our relatives in Gurziwan District and we have many problems during the winter," he added. Azizullah Qozi, a 53-year-old resident of Yukhan village, said his family was removed from their house because his brother serves in the Afghan National Army. "My brother is a soldier," he told Salaam Times. "He is away for months and cannot come to his house. He just sends his salary to his children as soon as he gets paid so that [his family] can use it to pay for their living expenses." "In a display of utmost brutality and cruelty, the Taliban evicted hundreds of families from their homes during this cold winter season," Qozi noted. While local authorities have requested the help of elders to bring these families back to their homes, the ANDSF is working to clear the areas from the Taliban militants, according to Mohammad Hanif Rezayee, a spokesman for the 209th Shaheen Corps of the Afghan National Army. "The Taliban members who have committed such a crime in this cold winter -- including displacing, humiliating and uprooting the people -- should know that our brave forces will take revenge," he told Salaam Times on January 7. "Our commando forces are now present in Gurziwan District," he said. "By clearing the areas from the Taliban militants, we are preparing the ground for the return of these families as soon as possible." He added that commando forces have launched decisive ground and aerial operations in Almar, Andkhoy and other vulnerable districts of Faryab Province. "Mullah Sarwar, the Taliban's shadow district governor of Almar District, Faryab Province, Mawlawi Habibullah, the Taliban's high ranking member and the leader of group's Red Unit, along with 17 others, have been killed as a result of commando forces' most recent operations," Rezayee said. You all lie! Instead of serving people, you are after money and power. I neither trust you, nor your government, nor do I your Taliban. What have you done for people, for which you show so much attitude?! They r against Islam, no one has right to punish women and children during the war. Militants are taking revenge on villagers who co-operated with the government. Security operations are underway to retake the affected areas. 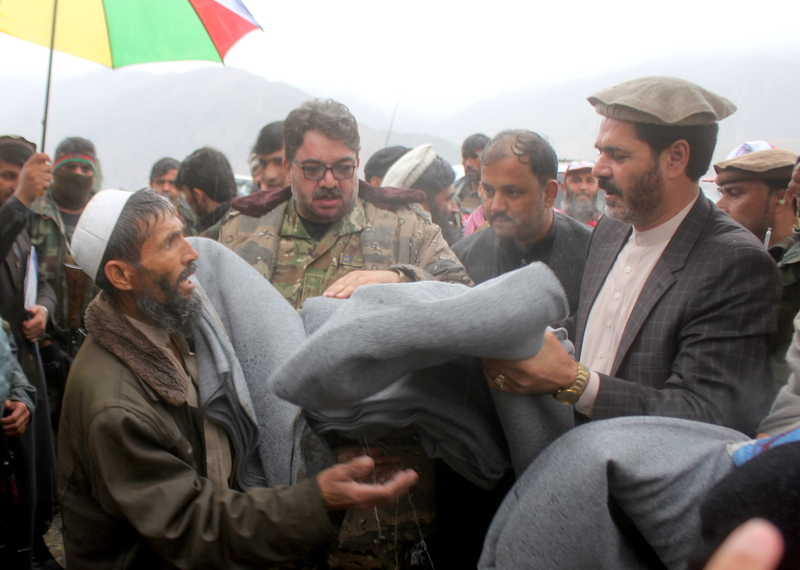 The government is working to help displaced families return and has provided aid in the form of tents, blankets, flour, oil, sugar and cooking equipment. Residents of Darzab and Qush Tepa districts are returning home after Afghan security forces regained control of the area.